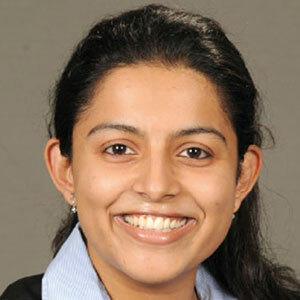 Vidhya Nair is the Co-founder and CEO of BQ Digital Learning. An alumnus of Indian School of Business and P.E.S Institute of Technology, Vidhya has a good mix of banking, marketing and technical expertise from prior work experience with Axis Bank and Cisco Systems. In an email interaction with the Higher Education Review team, she talks about the importance of digital learning and many more. How can digital learning portals help students in acquiring a job of their choice? There is a huge gap between the needs of the industry and the kind of skills that the graduating students are equipped with. The curriculum of our educational institutions has not moved at the pace at which the industry has moved. As per India Skills Report 2017, of all the students entering the job market across the country, hardly 2/5 meets the criteria of the employment set by the employers. A key highlight of a lot of the graduate success stories that we see or read about, is that the graduate has up skilled himself/herself on either new technologies, functional or soft skills that gave them the edge that they needed to be employable or become self-starters. Digital learning portals are effective and economic channels for graduates to equip themselves with the requisite skills to either make them employable or to get themselves certified so employers find these graduates as attractive hires. Most professional exams today are also conducted online. For example, all IBPS and SBI exams are conducted online. Do you think the Indian institutions lacks quality in course content, which is making the journey of Online learning providers smoother in India? We have some very fine Indian Institutions. I do believe that the lack of relevance between the prescribed course content and the needs of the industry is a challenge. But we do have institutions that make available extra training or support to students to bridge that gap as well. The uptake in online learning is a function of the fast paced growth in adoption of mobile and internet over the past decade. Online learning providers are not just looking at competing with Indian Institutions but actually partnering with them, in order to make available better quality, easily accessible and relevant courses to students. While online courses miss the 'Magic of campus,' what are the major challenges of Digital learning? Pervasiveness of internet is a major challenge when there is a need to reach tier 2 and 3 city students. Attention span is very limited in the digital world. Capturing and holding the student's attention while imparting lessons and keeping students away from distractions is a major e-learning challenge. A lot of ideas and innovation is needed here as traditional modes of teaching do not translate well to digital learning. Indian institutions already face a major challenge in finding quality teachers; this is even more of a challenge when it comes to finding quality instructors who can capture attention in online learning. All of these challenges also pave the way for innovations that will take education and learning to the next level. Do you think digital learning is a good choice for students today? How would you rate it against a regular course? Digital learning is already becoming a way of life. Whether a child wants to know the capital of Zimbabwe, a wife wants to learn a new recipe or a father wants to learn to put together a shoe rack; people are already turning to digital channels and social media to pick up skills and knowledge. I don't think it's a question of either/or, digital learning is a must-have supplement to classroom learning. Digital learning is also a way to garner professional learning skills and keep oneself updated on new skills in one's industry. Is the online content a threat or a boon for teachers in India? Online content is a must have supplement to regular teaching. Even threatened teachers cannot hideaway from the fact that their students are already turning to Google, YouTube, Khan Academy and others for their assignments and are using Facebook and Whatsapp to do peer study. A wise teacher will recognize the opportunity provided here and use the tools that their students are already comfortable with. An example of a very effective tool that teachers are now adopting is the use of a Flipped classroom, where students are referred to video archives or stored learning content to learn from on their own while moving activity based projects and practical applications to within the classroom. Quite a few institutions such as IIT Bombay, ISb etc., have evolved into using this methodology for teaching. What are the drawbacks of online education? For school level learning, I believe that learning has to be a blend of online and classroom. Effective learning needs to take into account the experience, content and interaction inside classroom with activities, content, projects and peer sharing outside the classroom along with convenience. Online targets some of the above more than others. The adoption spread of online learning today is one of the challenges, but the resolution of this is just a matter of time as seen by the shifting trends in technology, adoption of mobile, innovations in AI/VR, digital outreach etc. How will online learning evolve within your industry over the next 10 years?